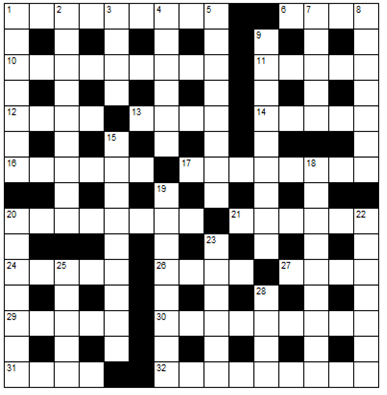 This is the third in a series of additional weekend puzzles. This week we have a puzzle from Radler. Anax pointed him in the direction of the Alberich site (see the sidebar) and you will discover two more of his puzzles there. We are very pleased to be publishing a third puzzle by this setter. As with last week’s puzzle, this one has a theme. You are strongly recommended to read the preamble as this explains that certain clues have only wordplay and lack definition. The solving of 29,27 and 12,32 are key to the solving of the whole puzzle. Next week we have a brand new puzzle from Anax -not one recycled from the Independent! Preamble: Each of the two-part solutions (except for 29,27) is 27,29 and the clues for these mostly lack further definition. In addition, 32 is (or was) the 31 for each 29. Additionally there is an interactive version of the puzzle here.